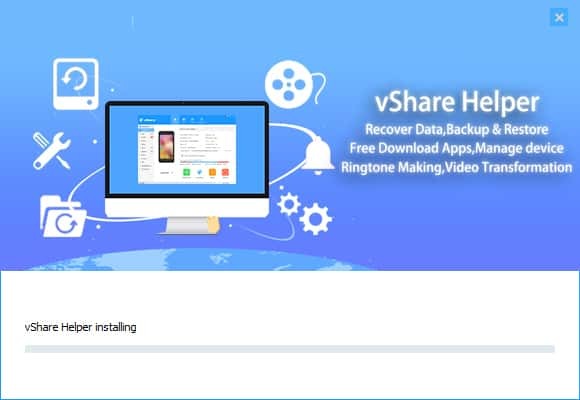 vShare is an app like many other third party installers, that gives access to numerous tweaks and hacked apps, all with the tap of a button. However, some may be skeptical of it working without a jailbroken phone. 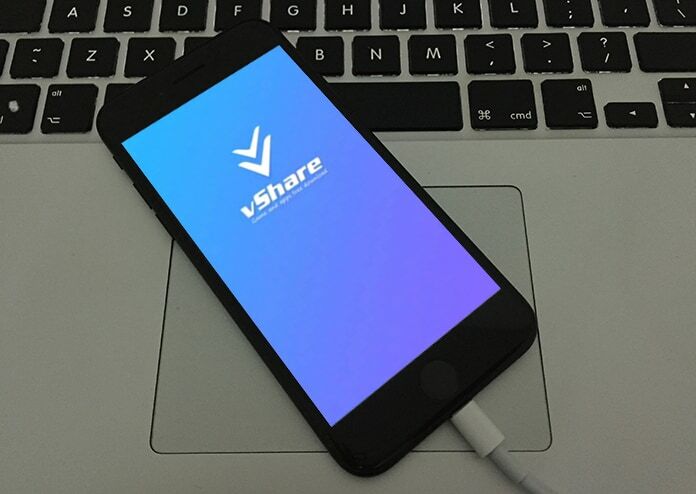 Here, we will show you how to download vShare on iOS 11 devices without any jailbreak. 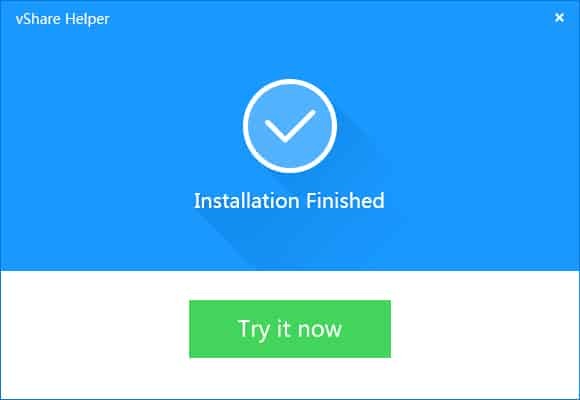 The installation process is a little different from usual apps of this kind such as AppValley or TuTuApp Helper but everything after the installation is still the same. 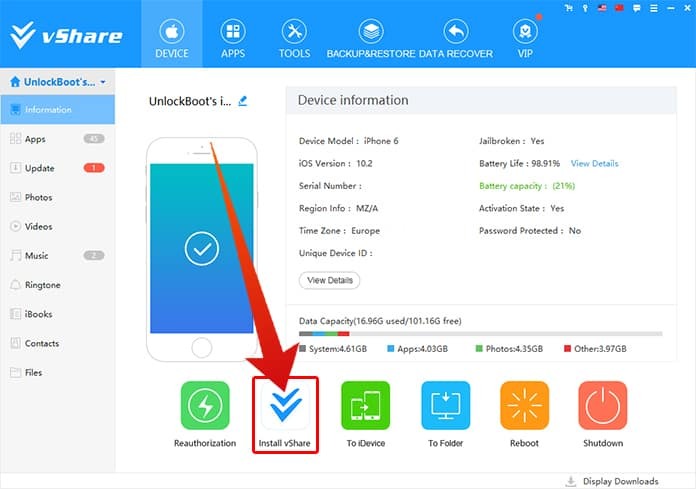 To do this, just follow the steps below to download vShare on iOS 11 devices without jailbreak. Step 1: Firstly, you must ensure that you have the vShare Helper software downloaded on the PC you are working from. Just be wary of the fact that it is a Windows .exe file and hence will only be available and work for Windows PCs. 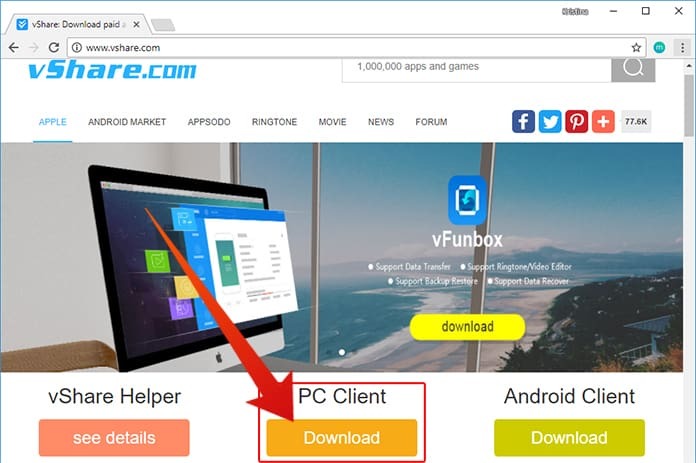 If you don’t already have it just go to the vShare website, vshare.com and click on the yellow Download button from under the PC Client header. Step 2: After the download completes, just install the software on your PC running Windows 10, 8 or 7. Step 3: Run the software and Connect the device you want vShare on to the PC using a USB cable. Step 4: Next, just select Install vShare from the vShare Helper software. This should be found at the bottom of the interface below the connected device information. Step 5: A new popup should appear that will tell you that the software is being downloaded to the new device and to keep the device in question connected to the PC. After the whole process completes, you will get a new icon on your iOS device which will be under the name vShare SE. Just tap on it after installation and use it just like any other app. 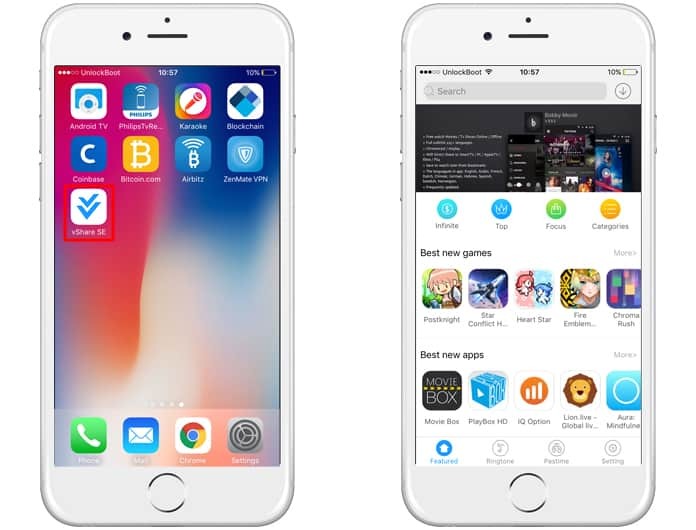 After loading it, you should see that some of the displayed apps have the App Store icon next to them, which would mean that the device needs to reauthorized properly. Just close the app and remove it from the multi-tasking tab to kill it and go back to the vShare Helper software from the PC while the device is still connected. From there hit Reauthorization, which should be to the left of the Install vShare button. Once this procedure is completed, you should have no problems in using the app to install apps on your Apple device.